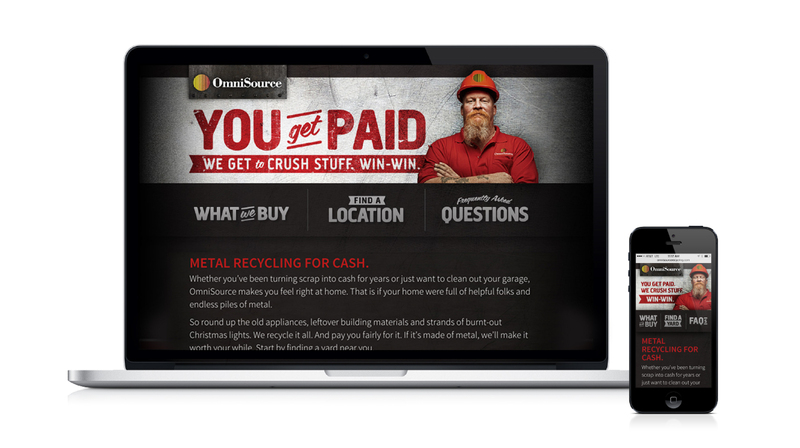 OmniSource, one of the largest metal recyclers in the U.S., had a new, best-in-class approach to retail customer service at the scrap yard. Problem was, no one knew about it. We started by looking at the experience from the customer’s perspective through consumer research and conducting employee interviews to ensure the new brand would be genuine to the culture of the company. 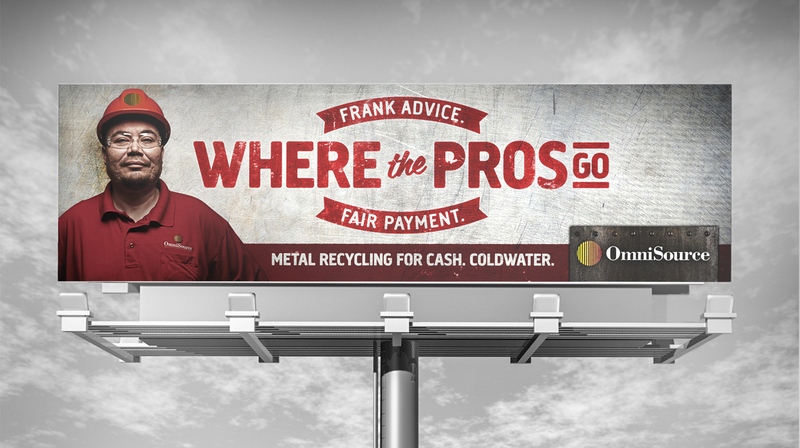 We turned OmniSource experts at the drop-off site into the face of the brand, using actual employees in photography to deliver a more authentic brand personality. 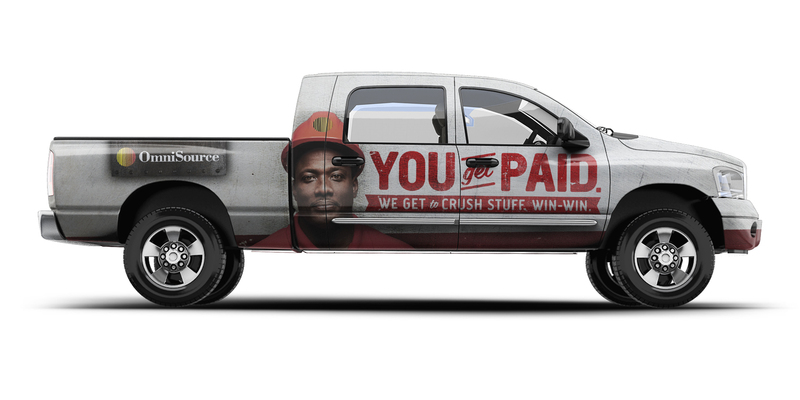 The bold tone was balanced with messaging that OmniSource was one yard that treated people fairly. The result? 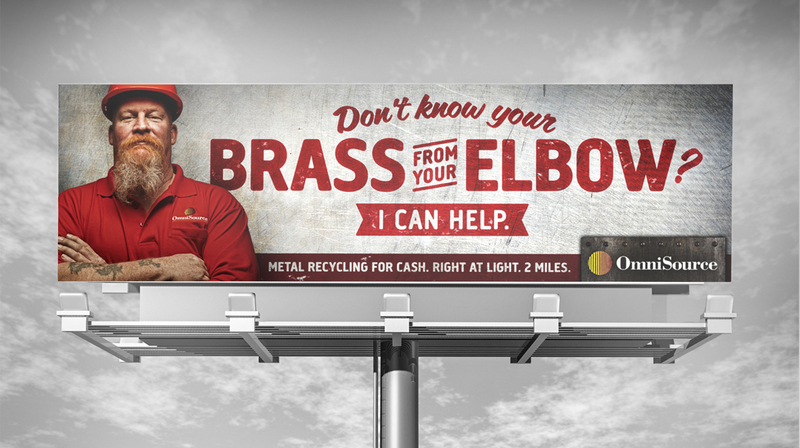 A conversion rate of 10.4 percent for online car recycling quotes and an increase of 5,494 yard visits during the campaign. Borshoff taught us that our brand isn’t what we say it is; it’s how our customers think and feel about us.